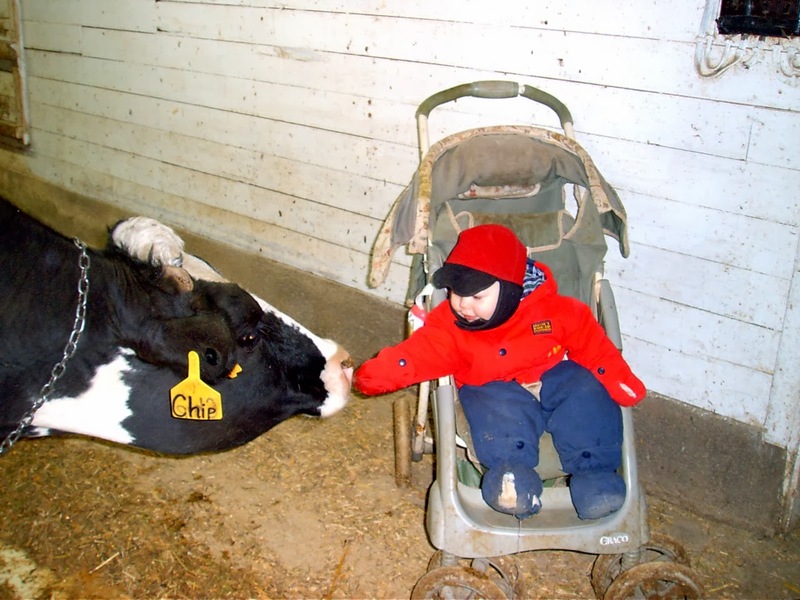 When our first winter on this farm came around, Dan was just turning one. 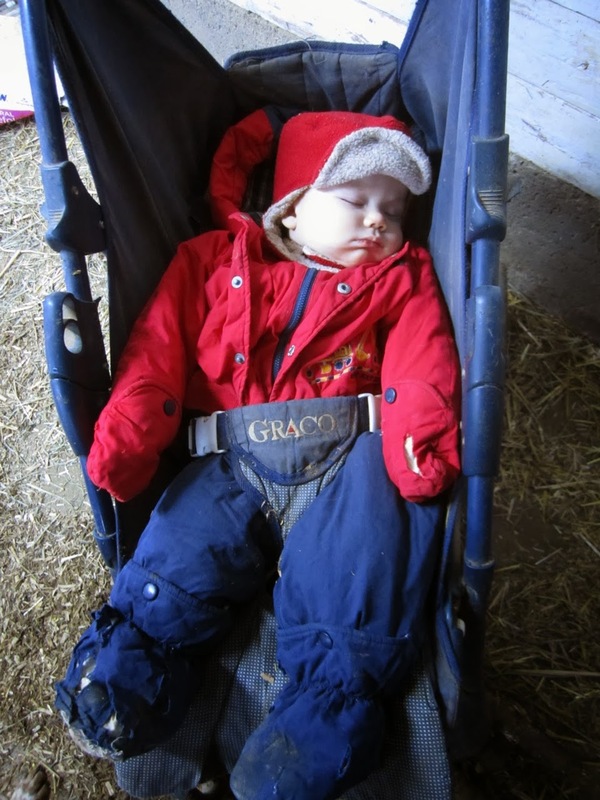 It quickly became clear that he needed a snowsuit for the barn. I knew it needed a hood, hand covers and foot covers. And it needed to be warm. 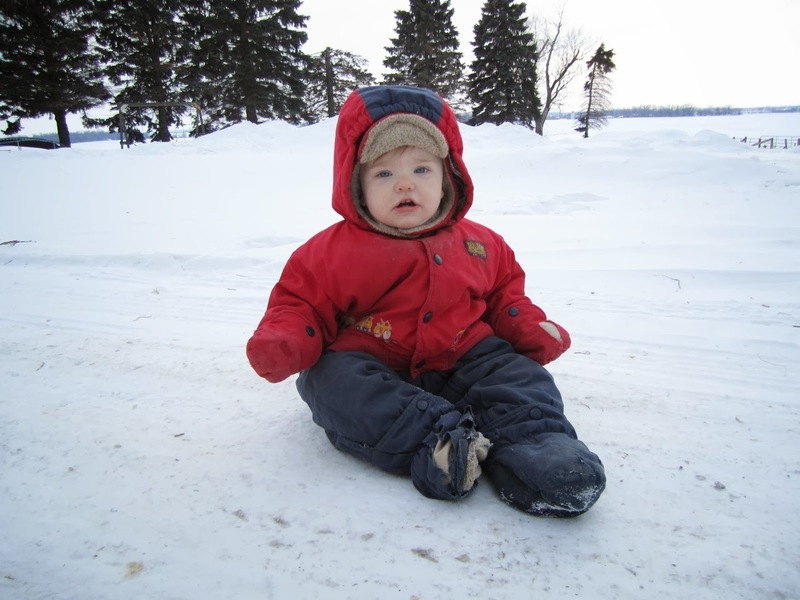 I found exactly what I needed at Once Upon a Child – a well-padded, red and navy blue snowsuit. Dan spent two whole winters in that snowsuit. Unfortunately, our first puppy, Rosco, enjoyed chewing on Dan's hands and feet. Even though Rosco is no longer with us, he left his marks on one of the foot covers and one of the hand covers on the snowsuit. 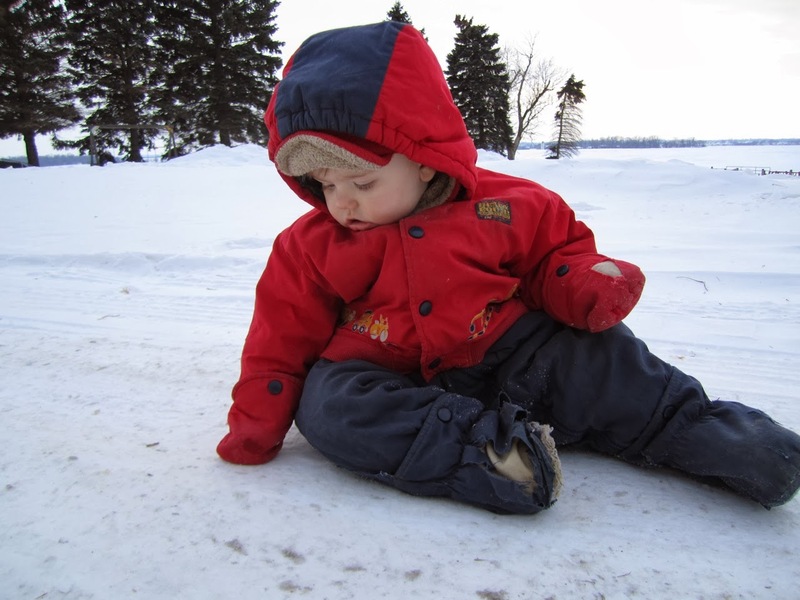 The snowsuit has often been referred to as the Ralphie suit, in reference to the red snowsuit from A Christmas Story, even though it was Ralphie's younger brother Randy who was stuffed into the suit. And, I'm sure, if Dan could have told us what he really thought, he would have said he felt just as tortured as Randy in that suit. He hated getting dressed to go the barn. I think, because he knew that putting that snowsuit on meant he would be confined to a stroller or playpen for the next umpteen hours. Monika apparently got lucky. I couldn't find a single picture of her wearing the Ralphie suit. And I honestly don't remember if she wore it during her first winter in the barn or not. She actually got to wear a girls' snowsuit during her second winter. 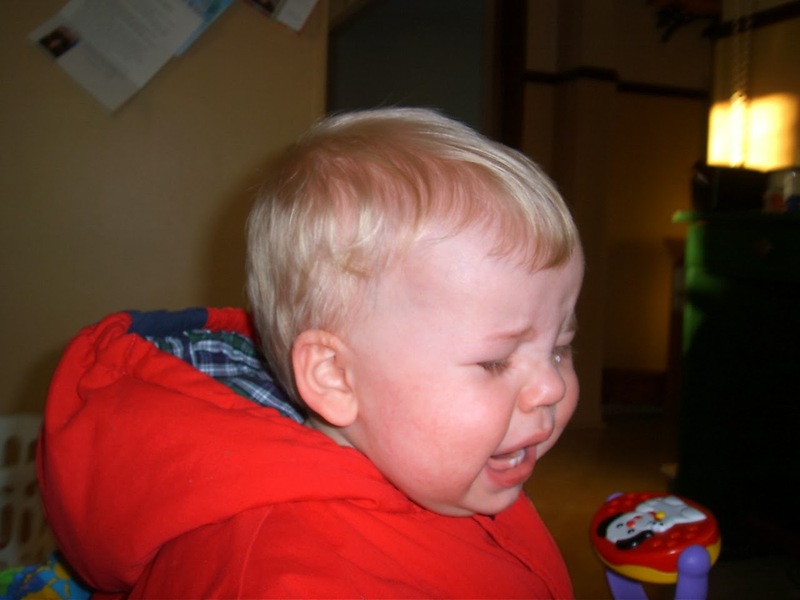 But her pink and blue barn snowsuit did just as good a job of restraining movement and keeping her little body warm. 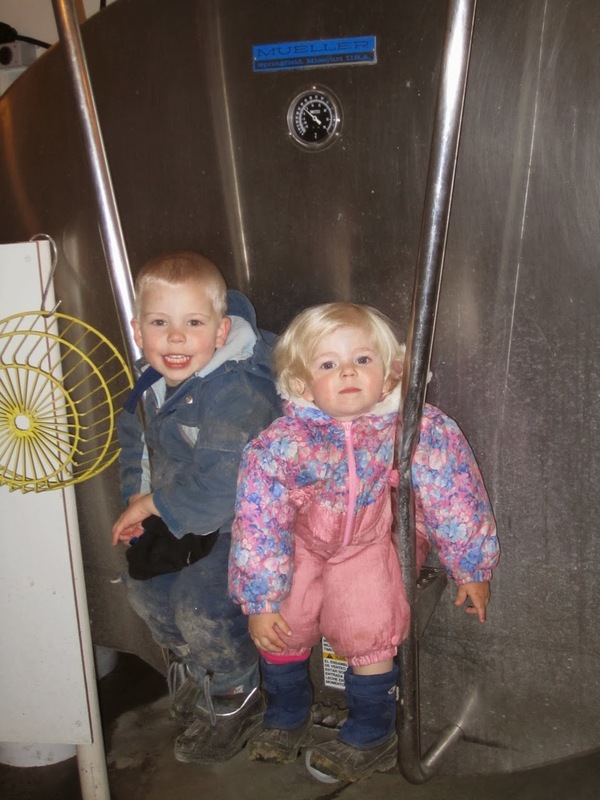 Monika might have avoided the Ralphie suit, but several of my nieces and nephews have donned the snowsuit for a trip out to the barn to meet the cows. We keep enough winter barn clothes around here to outfit a whole posse of children. And now Daphne gets to wear the suit. The zipper pull has been replaced with a paper clip. There are still Rosco holes in the hand and foot covers. But it still keeps my baby warm. The only bad part is that everyone who sees her in the suit thinks she's a boy. Maybe it's time to dig out the pink snowsuit and put the Ralphie suit away. Love it!!!! 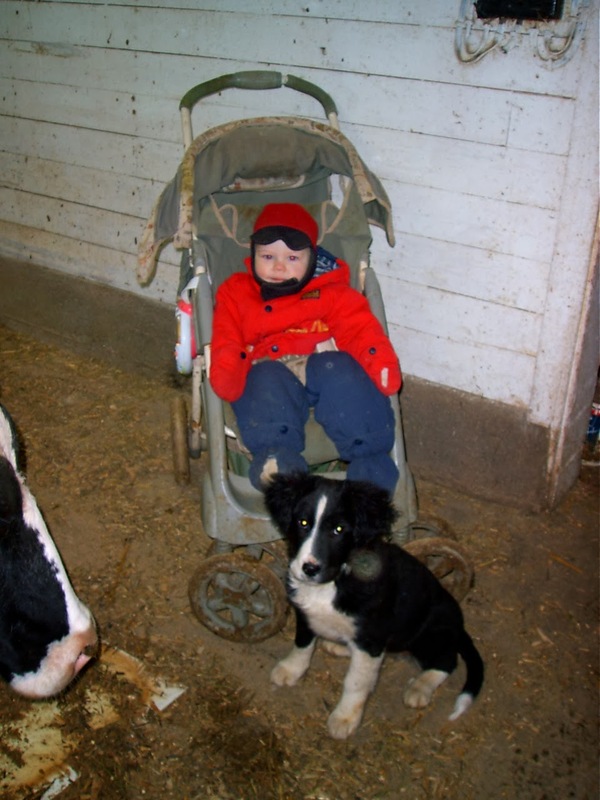 My son spent all last winter wearing his older sisters pink winter barn boots!